Euro currency traded sharply higher on Tuesday sending many leveraged short players running for cover. On Monday we pointed out that both euro and Swiss franc had formed weekly inside bars versus the US dollar, raising the possibility of breakout moves on both markets this week. 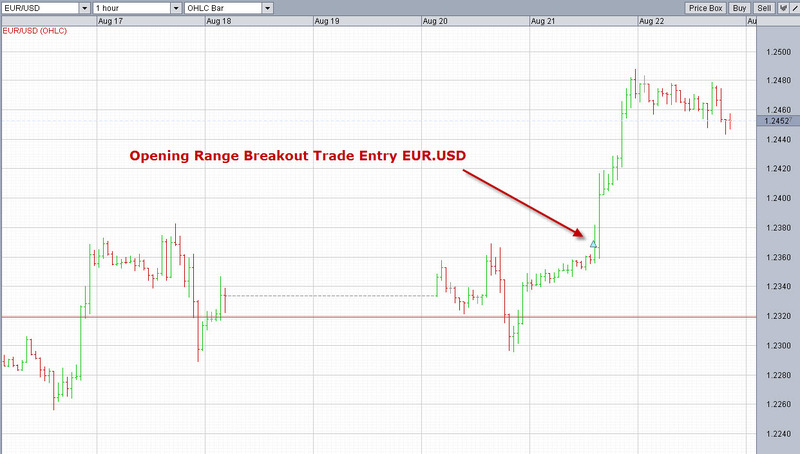 One of the most profitable ways to play inside week breakouts is by employing ‘opening range breakout’ strategies. Opening range breakout works on the premise that when there is a ‘big range bar’, defined as a bar whose range is two times greater than the 70 bar average range, prices will often open and close at opposite extremes. The bigger the range, the more extreme the close. Typically a big range bar will close within the upper 10-20% of the bar on up moves and lower 10-20% of the bar on down moves. Weekly opening range breakout involves trading off the Monday ‘opening’ price by a predefined volatility measure and can catch some nice moves when the market continues to trend all week. Other times, when the market is choppy, our losses are contained to a fraction of the previous weeks volatility, equal to a small percentage of risk on our account.